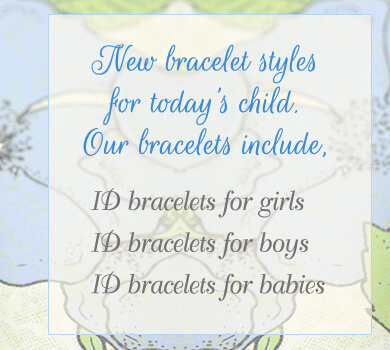 Kids ID bracelets in traditional styles plus new and charming ID bracelet designs. 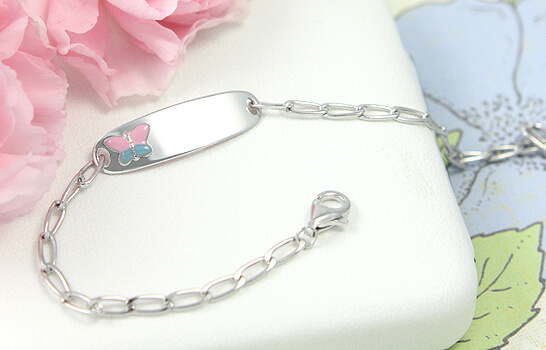 ID bracelets for kids with Cross cutout, butterflies, and diamonds. 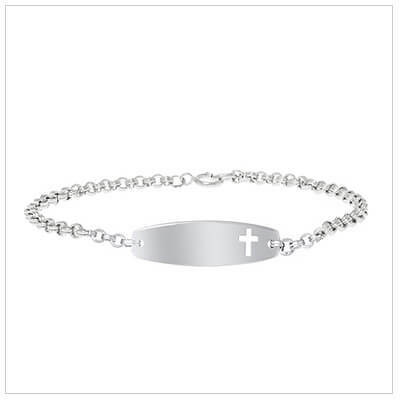 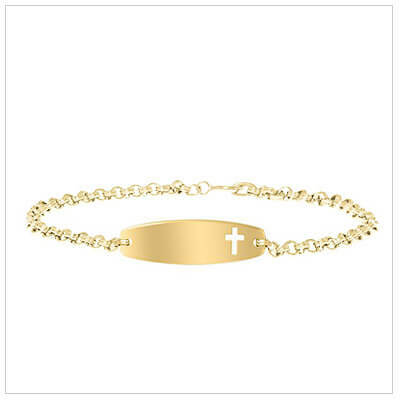 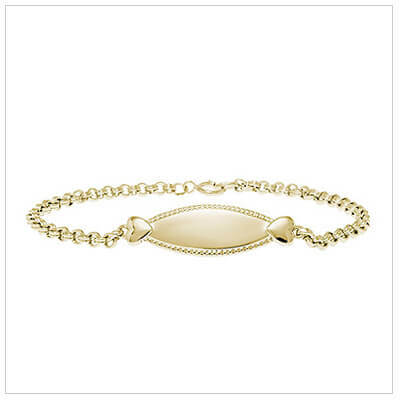 Selections include ID bracelets for both boys and girls and engraving is included. 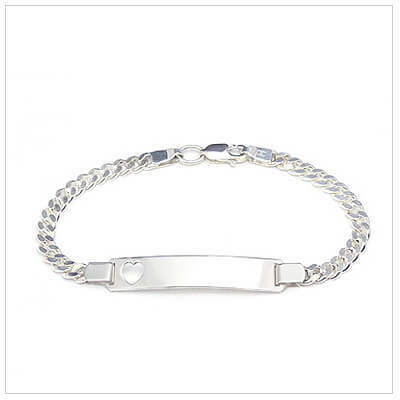 We offer bracelets sized to fit babies through teens. 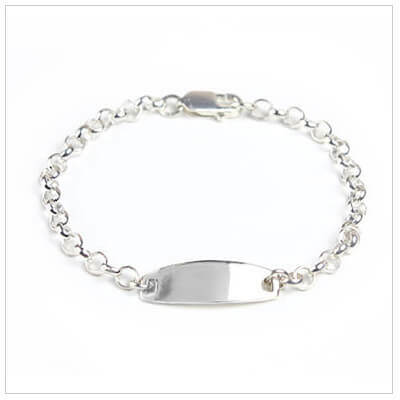 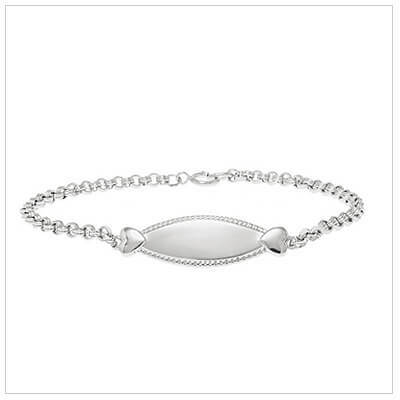 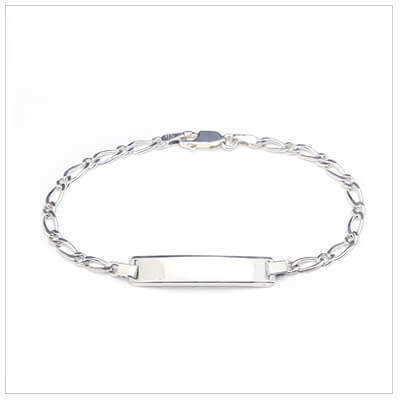 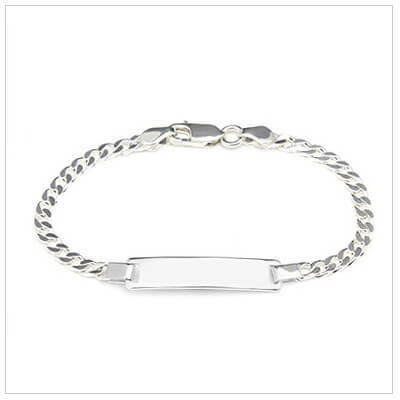 Traditional ID bracelet for preteens and teens in polished sterling. 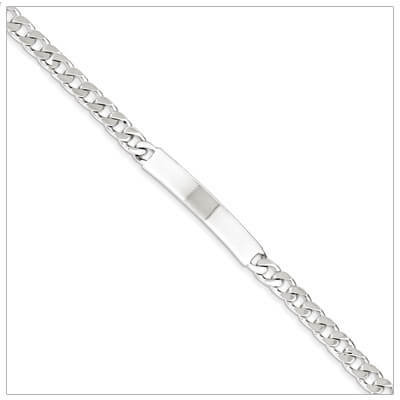 Size 7 inches.